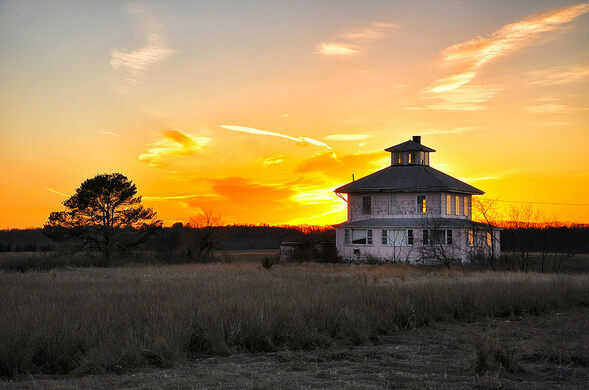 This picturesque abandoned home is the ultimate spite house. 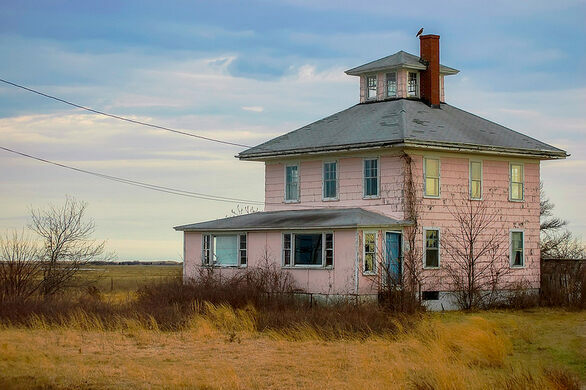 This abandoned house looms over a salt marsh, its pale pink paint looking like a mirror of the colorful sunsets that so often streak the sky. It’s a celebrated local landmark, one with a definite air of mystery and romance. Final resting place of a pioneering scurvy researcher. Shelves of coffee beans fill this North End institution. But the picturesque house’s story is not at all romantic. It’s a spite house, a divorced man’s way of getting the final say against his ex-wife. 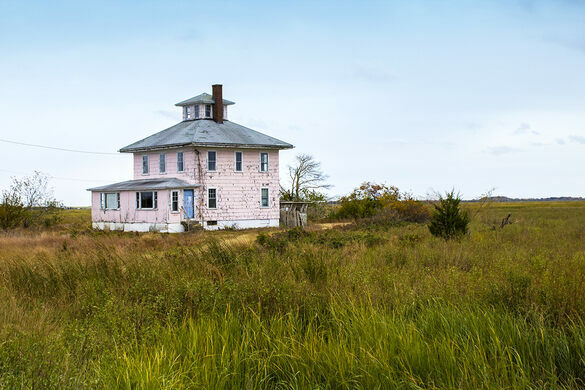 According to town lore, the house was built while a local couple was in the process of finalizing their divorce in the 1920s. As part of the divorce agreement, the wife required her husband to build an exact replica of their family home for her. But unfortunately for her, she didn’t specify exactly where. Her soon-to-be-ex went along with her stipulations and built a home identical to the one they once shared. 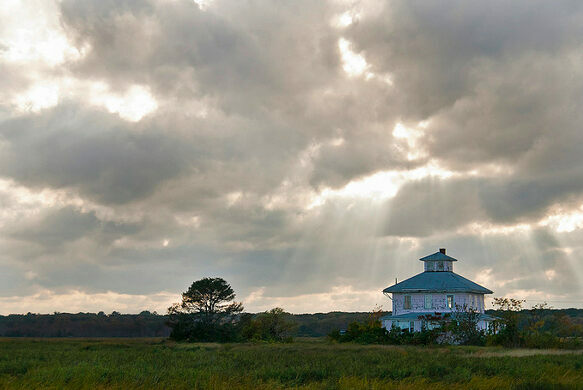 It would’ve been a sweet, amicable gesture—had he not purposely built it atop an isolated salt marsh. Even the plumbing used salt water instead of fresh water, making the abode uninhabitable. In later years, the house was deemed livable and families indeed moved in. However, it has been vacant since the early 2000s. 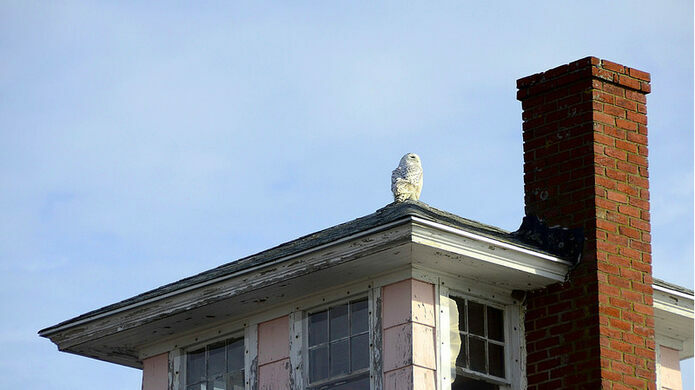 Now, birds of prey like hawks and snowy owls are the only ones to drop in for an occasional visit. 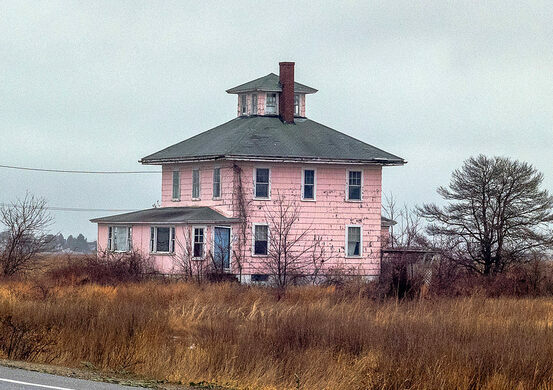 The house has even been slated for demolition, though community groups continue to rally to save their beloved landmark. 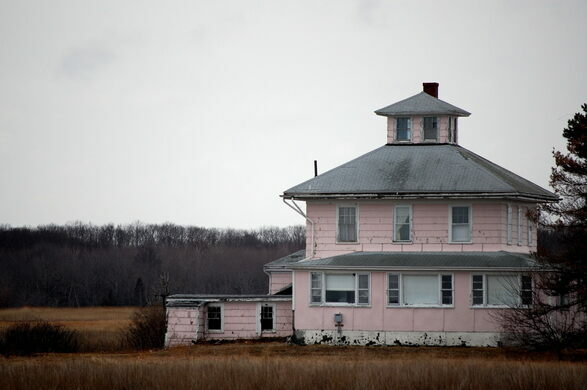 The house now sits on Parker River National Wildlife Refuge and has been slated for demolition, but this has been delayed a number of times. 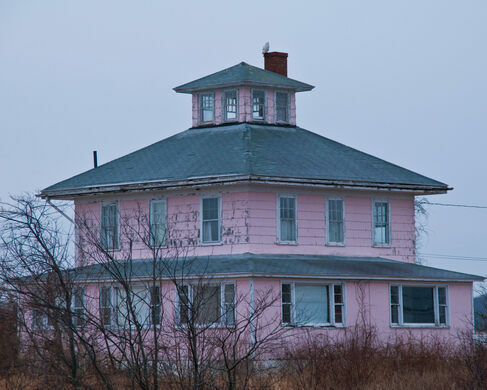 There are groups involved in trying to save the pink house. That being said, this is not a place for urban explorers. 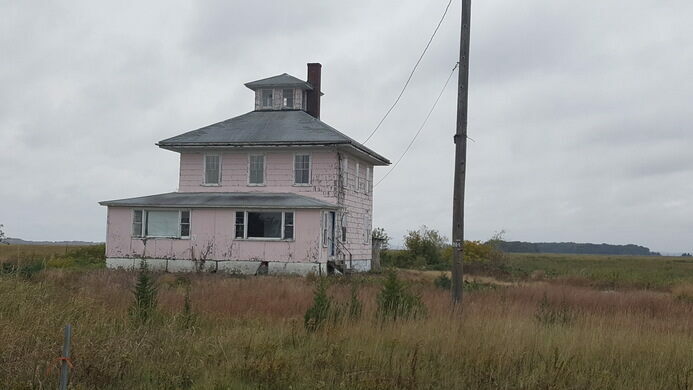 This house has been relatively undisturbed, as the locals hold tremendous respect for it. They ask for your respect in only photographing it from its exterior. Palatial mansion estate used in films including "Flowers in the Attic" and "The Witches of Eastwick." The mansion and cenotaph of the New Hampshire Faust. The sad, exploited, life of Eunice Cole and a set of ashes on a shelf. Beirut's thinnest building was the result of feuding brothers. The shared home of a utopian commune that practiced "free love" a century before the hippies.